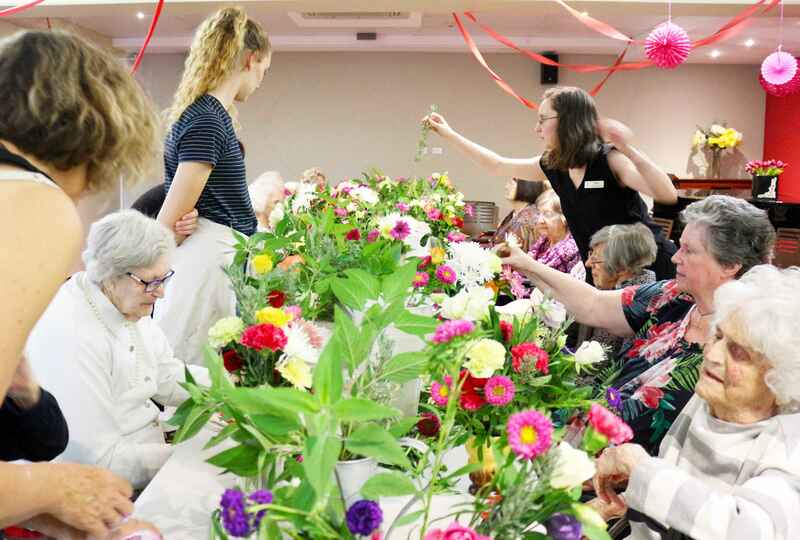 Liz O’Toole has brought her passion for flowers to Ashburn House in Gladesville to bring colour to the lives of residents. when they used to perform small music concerts in the lounges. I would bring my flute along and play with them, as they sang all the favourite old songs to the residents. They were wonderful people, remembered by many. My “proper” volunteering began when the new Ashburn House was completed and the lovely Bronte Café was opened. I have been working there fortnightly throughout the years, helping initially Shirley Johnson when it was first set up, and now helping Ali, mostly by making coffees for our residents and visitors. I have yet to perfect the fancy coffee art that so many baristas seem to be able to do! However, I do make a nice cuppa! It’s always a very happy day when I come in to help, as it’s fun serving all our customers, and Ali and I get to chat together when it’s quieter. I have known Ali since we were young girls, and have a great photo of the two of us as seven or eight year olds at a church conference in the early 1970s. We always have a lot of catching up to do! Lately my volunteering has taken a more creative turn. 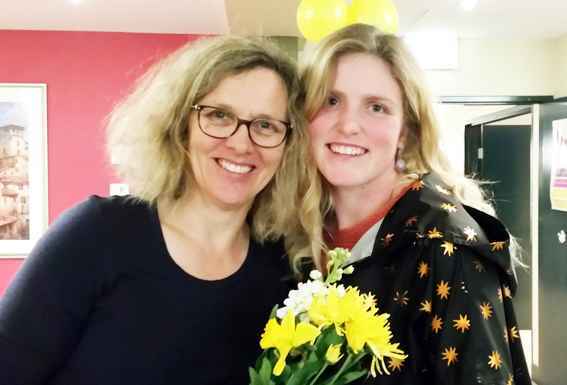 In the last four years I am qualified as a florist (my original calling was as a horticulturist, which I still do, working one day a week at a local public school as the gardener!). So once a month, on the fourth Friday of the month, I set off very early for the Sydney Flower Markets in Homebush, where I buy a lovely selection of flowers which I then prepare and bring into Ashburn House. Many of our residents love to come down to the theatre room to spend a bit of time arranging these flowers into the vases provided. They are then able to take back these beautiful creations to their rooms for them and their visitors to enjoy over the next week. Each month I try to choose different colours and flower types, but I would have to say the brightest colours are loved the best by the residents! So if you love flowers, and would like to share this experience, make sure the staff know you or your loved one would like to come along. For more information on volunteering please browse our website or contact Stuart Muir, Pastoral Care and Community Services Manager, on smuir@chomes.com.au.